Despite its popularity and widespread use there exists some persistent confusion as how to best navigate through all the possible twists and turns of the Texas Method. The Texas Method is the enigma of intermediate programming. No other particular program has been as single-handedly responsible for some astonishing examples of extended intermediate progress while simultaneously burying so many others in just a few weeks’ time. Texas Method is pretty much Pass/Fail, and unfortunately there are too many examples of Fail from its users. There are two main reasons for the high crash-and-burn rate among trainees and coaches. First, inappropriate usage. As we have stated before, the Texas Method is a lifter’s program. It’s very effective, but very hard. Even when done appropriately, recovery from the Texas Method is difficult to manage and it’s likely that only someone with competitive aspirations will take the time and effort to consistently manage their calories, sleep patterns, and lifestyle choices to make the program work. The workouts can be long and drawn out, and the average working adult over 35 years of age probably cannot commit the time or the energy to do the program properly. So if you are over 35 or 40 years of age, and you consider yourself to be a “recreational lifter,” then it’s probably best that you consider a Heavy-Light-Medium Program or a Split Routine training model. 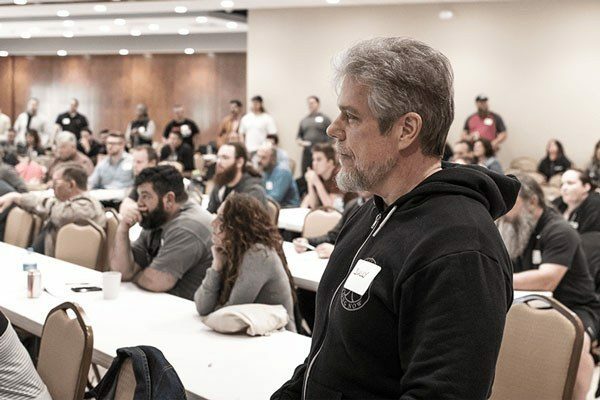 Second, even for those who are good candidates for the traditional Texas Method training model, there is rampant misapplication of all the training variables. This is especially true in the period of transition from the novice program to the Texas Method. If you don’t navigate this timeframe correctly you can very easily sabotage your future on this program. The area where we see the most mistakes made on the Texas Method revolve around the Intensity Day and a misunderstanding of what exactly the Intensity Day is, how it is supposed to work, and how it relates to the volume day workloads. As traditionally understood, the Volume Day of the Texas Method is the primary “stressor” of the week. Having by far the highest workload in terms of tonnage (the total sum of sets x reps x load), the volume day is our primary “disrupter” of homeostasis, which is necessary for continuous adaptation. Many have come to think of the Intensity Day as simply the “expression” of new adaptation caused solely by the stress of the Volume Day. This is the truth, but not the whole truth. The Intensity Day is also an extension of the stress created by the Volume workout. Intermediate trainees need exposure to the stress of high volume workouts, but they also need the exposure to extremely heavy loads if increased force production is the ultimate goal of the program. And since it isn’t really feasible to get all of that work into a single session, we have split the week into high volume work and high intensity work. So the Intensity Day is not necessarily just an “expression” of the adaptation from the stress we applied on Monday’s volume day. Although it is that, it is also a stress in and of itself. While the nature of the stress is different than Monday’s 5x5, one all out herculean set of 1-5 reps is certainly a catalyst that contributes to the adaptation of greater force production. And just as Monday’s 5x5 contributes to your ability to perform a new 5RM, 3RM, or 1RM on Friday, the stress of Friday’s high intensity set or sets will contribute to your ability to perform a new 5x5 max on Monday. We’d like to think that the whole Stress-Recovery-Adaptation cycle is simply confined to a nice and neat Monday through Friday weekly training cycle, that simply repeats itself starting every Monday. The reality is that Stress, Recovery, and Adaptation are continually happening all the time. Our brains don’t like the fact that there is a massive amount of fuzzy grey area when all of these things actually take place, but that is in fact the case. We stress ourselves on Monday with a very high volume of work at a moderate intensity and we begin the recovery process as soon as we leave the gym. We add another stress on Wednesday. Even though this is a light day, and the dose of stress is relatively small, we haven’t yet recovered from Monday, so we are still adding stress to the recovery load. Although we may or may not be fully recovered from Monday and Wednesday, we are recovered enough by Friday to add yet another stress on Friday, although we must alter the nature of that stress. Experience has shown that a higher-intensity low-volume session works best here. Over the weekend, we recover from the very heavy loads we lifted on Friday with the hope that the exposure to those extremely heavy loads will aid us in our volume day efforts the following Monday. And so the cycle is continuous and we probably don’t have a precise handle on the exact time frame of how all of this occurs. We just know that we are in a pretty much constant state of applying stress, expressing adaptation, and recovery. And if all the variables are managed correctly, we know that it works. The most widely used iteration of the Texas Method Intensity Day is to try and set a new 5RM every Friday. This is balanced with a corresponding cluster of 5-rep sets on Monday (think 5x5), generally at about a 10% reduction in load. The context of this particular iteration of the program is a very important consideration. The combination of 5s on both volume and intensity days has some pros and cons. The best part about using 5s on both volume and intensity day as the first iteration of intermediate programming is that it makes an extremely easy transition for a trainee coming off the novice program. This is especially true for inexperienced novices (which is most of them) who may be working in the absence of a qualified coach or programming advisor. We have a pretty good formula in place for transitioning smoothly out of the novice program and into the Texas Method. The simplest method is to simply take your last best 3x5 performance from the novice program and set that weight as your next 5RM workout. If you want to be aggressive, perhaps you set that 5RM just a very little bit heavier than your last 3x5 workout. For instance, if your last best 3x5 workout was 305, then you might plug in 305 or 310 as your very first intensity day workout for a single set of 5. Now, it is very important to remember that we are not basing our intensity day workout off of the last attempted 3x5 workout, but your last completed 3x5 workout. If you ended your novice linear progression on a Friday with 305 for 2 sets of 4 and a set of 3 rather than 3 sets of 5, then you can’t use 305 for your intensity day 5RM. Instead, track backwards through your training log to your last successfully completed 3-sets-of-5 workout. As alluded to earlier, this approach is fairly aggressive. It’s important to understand that the novice who is grinding to a halt at the end of his linear progression is a very tired lifter. At this point he has been pushing against very heavy sets of 5 across for the last 4-6 months in most circumstances. Mentally and physically, he is fatigued. Not only will the trainee welcome some changes in the structure of the programming, he could probably use a little bit of a break as well. Now, for a novice or early intermediate, it’s rarely a good idea to just take a week or two off from training. He’ll detrain and lose some of the ground he has fought hard to gain. But 1-2 lighter weeks is probably a good idea in most circumstances. So the first two weeks of the Texas Method aren’t necessarily going to be easy but we are not aiming for new personal records. We’ll save those for week 3 or 4 of the program. We’ll ensure this happens by setting the new target 5RM for week 4 of the new program. Then we work backwards a bit each workout until we arrive at the work set weights for week 1. This strategy borrows a bit from more advanced programming models that rely on long blocks of volume accumulation (several weeks or months usually) followed by longer blocks of volume reduction and deloading that culminates in a peak at the end of a training cycle. The trainee would then repeat another long drawn-out volume accumulation phase, followed by another deload and peaking phase. This will not be the strategy for the intermediate trainee except during this short term transition phase. After a brief (1-3 week) respite allows for some dissipation of accumulated fatigue from the stress of the novice linear progression, we will follow a weekly progression and attempt to display new performance increases on a weekly basis. As mentioned previously, there are some drawbacks to the use of 5x5 on volume day and an attempted new 5RM on intensity day. The main drawback is that this phase does not last very long before new 5RMs are no longer possible. 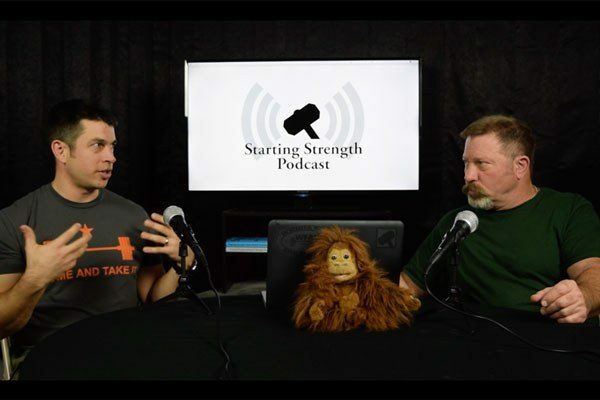 Although this is discussed at length in Practical Programming for Strength Training, it seems to be a point that did not sink in well for many trainees. The continued reliance on the exclusive use of the 5-rep set is not a long-term intermediate strategy. New 5RMs on a continual weekly basis are generally not possible for more than about 4-8 weeks. To state it very simply, the training stress generated by 5s will have grown rather stale. Physically and mentally, the trainee needs a new stimulus and a new challenge. At this point, 5s will still be used for volume day, and the intensity day workouts will begin to utilize sets in the 1-3 rep range. At this stage in the trainees lifting career, higher force production work on a regular basis will be needed if continued progress is to occur. Not only will the trainee need to physiologically adapt to the unique stresses of loads in the 90-100% of 1RM range, but he will also need to start developing the skill of grinding against very heavy loads that move slower and challenge mental fortitude and focus. Again, the Texas Method is a lifter’s program, and lifters must develop not just the strength, but also the skills needed to work with extremely heavy loads. Once a new 5RM is no longer possible on a weekly basis, then the trainee will essentially split up the volume and work towards putting more and more weight on the bar using two triples instead of a single set of 5. Ideally the change in rep-range will occur because an experienced coach or programming advisor pre-emptively makes the change before failure occurs, but this is not an exact science and often the trainee will be forced to switch to triples because he failed their 5RM attempt. Following this change, the trainee can expect maybe 3-6 weeks worth of progress using triples, and then he will switch to the use of doubles – usually 2-3 sets of 2. Again, these programming changes work best when they are made before failure occurs on the triples. 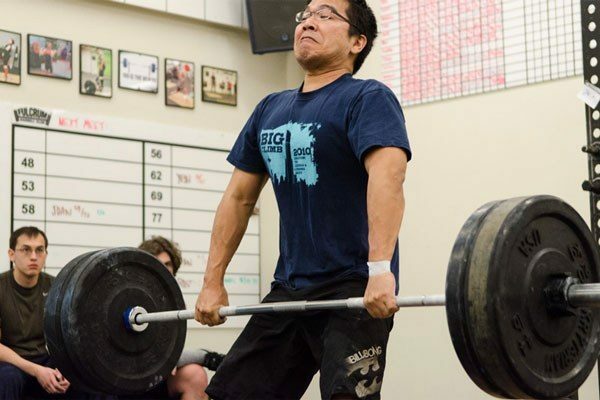 When working with doubles, again the trainee can expect maybe a few weeks of progress and then there will be another reduction in reps, this time to singles across – usually 3-5 sets of 1 rep. Perhaps 3-4 weeks of singles across will likely culminate in a session where he achieves just one heavy single. This will be the closest the trainee has come to establishing what can be considered a true 1-rep max. This cannot be repeated the following week. In Practical Programming for Strength Training, we refer to this strategy as “Running It Out.” Essentially a gradual increase in weight every single week as the target rep range is reduced every few weeks to accommodate the heavier loads until the trainee can no longer reduce reps or add weight. It should be understood that we only really apply this strategy one time. Once the trainee has successfully “run it out” from 5s down to 1s, then the next step is to incorporate a 3-week rotation of 3s, 2s, and 1s. 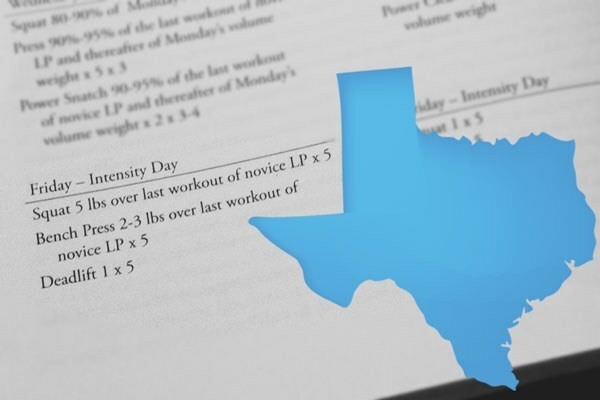 From this point forward, as long as a Texas Method-style programming model is used, the trainee will work in 3-week waves on the Intensity Day, although there is some variability in terms of rep ranges used and the exact volume of the Intensity Day work sets. More on this later. As a slightly more advanced, stronger, and experienced trainee there will be a need for some weekly fluctuation in the nature of the stress applied to the trainee each week. There exists some confusion within the community as to how a 3-week wave differs from an advanced training model. The hallmark of intermediate training models is that there is progress – new PRs – on a weekly basis. Regardless of whether that progress comes in the form of a new maximum triple, double, single, or set of 5 is irrelevant. New PRs at any rep range on a weekly basis is intermediate level training. This is a stark difference from the advanced trainee who may only be setting new PRs once every 4-8 weeks. Once the trainee has “run it out” and culminated in a maximum single or cluster of singles, then he cycles back to triples for the start of the new programming model using a weekly rotation of rep ranges. The best way to go about this is to refer back to the training log and look at the last completed triples workout from several weeks back. The trainee can aim for a new PR with a load that is slightly heavier than where he left off. So if the last completed triples workout was 350x3x2, then it would make sense to attempt 355x3x2. The following week the trainee would add about 10 pounds to the bar and attempt 365x2x2-3 (i.e. 2-3 sets of 2 reps). The following week (week 3) the trainee would add another 10 lbs to the bar and attempt 375x1x5 (i.e. 5 sets of 1 rep). On week 4 he would return to triples for a conservative PR of 360x3x2. Week 5 is 370x2x2-3. Week 6 is 380x1x5. During this type of training there would be continual adjustment of the work done on volume day so that new PRs can be set continually on the intensity day. Volume work is an absolute necessity for most intermediate trainees but it must be monitored carefully to ensure that priority is always extended to the intensity day. If strength (i.e. 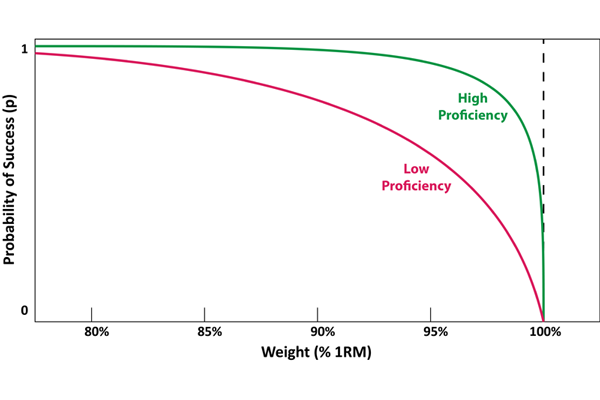 force production) is the primary goal, then the metric that is used to measure progress is the heavier loads that are used on the intensity day, not the loads used on the lighter volume days. Too much volume, or too much loading on volume day, can exceed the recuperative capacity of a trainee and stall progress. Volume day performances, such as the trainee’s best 5x5, are important to progress, but it isn’t generally possible to improve those numbers every single week. It will be necessary to make adjustments over time to either the load on the bar or to make reductions in the set or rep totals in order to manage fatigue. Certainly, if a trainee has competitive aspirations then we must always tweak the program to ensure that the focus remains on the best sets of triples, doubles, and especially singles. No one squats 5x5 in a meet. The volume is simply a tool to drive progress – a means to an end, but not an end in and of itself. Too many trainees get caught up in their focus on volume day and never have the gas in the tank to do any meaningful work on their intensity day. Like any other form of programming, the model we have just discussed will not work forever. Doing 5x5 on Volume Day plus multiple sets of 3, 2, or 1 on Intensity Day is an extremely challenging workload. As trainees grow in strength, so too will they grow in their ability to create stress with less work. On a Volume Day it is very common for trainees to eventually have to shy away from 5x5 and perhaps drop a set or two and do 4x5 or 3x5. Remember, now that the trainee has grown in strength and skill, 3x5 across is a different amount of stress than it was several months or years ago as a novice. Or perhaps trainees will keep a 5x5 protocol on their Volume Day, but now they will do so with perhaps 80-85% of their 5RM rather than 90% of their 5RM. It is also very common for trainees to drop the sets across approach on their Intensity Day. Most new intermediates will start with a rotation of about 2 triples, 3 doubles, and 5 singles. This has been a proven set/rep strategy through the years. However, at some point it is probably beneficial to limit the volume of the Intensity Day to a single set of 3, 2, or 1. In addition, instead of small increments of weight between the trainee’s sets of 3s, 2s, or 1s, it will likely be necessary to create more fluctuation in loading. So instead of just fluctuating workload by 5 or 10 pounds each week, it might be better to fluctuate the loads by 5-10%. Additionally, it is not a hard and fast rule that the trainee must always do their Intensity Day work with sets of 3, 2, or 1. After a few 3-week cycles of 3-2-1, the trainee might transition into a several 3 week cycles of 5-3-1 or even 6-4-2 if the trainee wanted to do a little less extremely high intensity work week-in and week-out. The Texas Method can be very flexible and offer the trainee lots and lots of options depending on personal preferences. In conclusion, the lifter and coach should always keep in mind the nature of the Texas Method: above all, it is very stressful. And again, this makes it very useful for the right trainee in the right circumstances. The Texas Method can be used for the long term, but it is not reasonable to expect that you can use Texas Method programming 52 weeks of the year. I think that most serious lifters do best when they plan for competition two times per year, perhaps once in the spring and once in the fall. 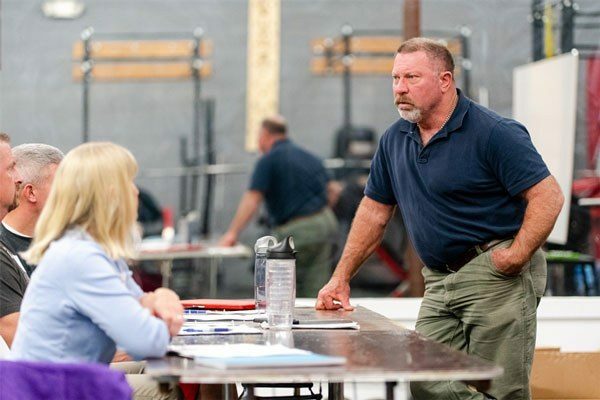 The Texas Method makes a fantastic protocol to prepare for competition for Powerlifting or Strengthlifting meets. You can set up Texas Method programs for perhaps 12-18 weeks in length (4-6 three week cycles) leading up into the meet. For the rest of the year, it’s probably best to switch to a less stressful Heavy/Light type split routine. Heavy/Light split routines allow the lifter to “let off the gas” a bit between meet prep cycles, and incorporate more assistance work to address potential weak points in their lifts. All serious competitive lifters should look at their training on an annual basis and plan accordingly. If you aren’t willing to put this amount of thought, planning, and effort into your training, then you probably are not a serious competitive lifter. And that’s ok. Some of us just want to get under the bar to maintain our health and fitness, counter the sad effects of the aging process, and on occasion put something cool on YouTube. But understand that the Texas Method is probably not the right solution for you. Serious Lifters Only, Please.